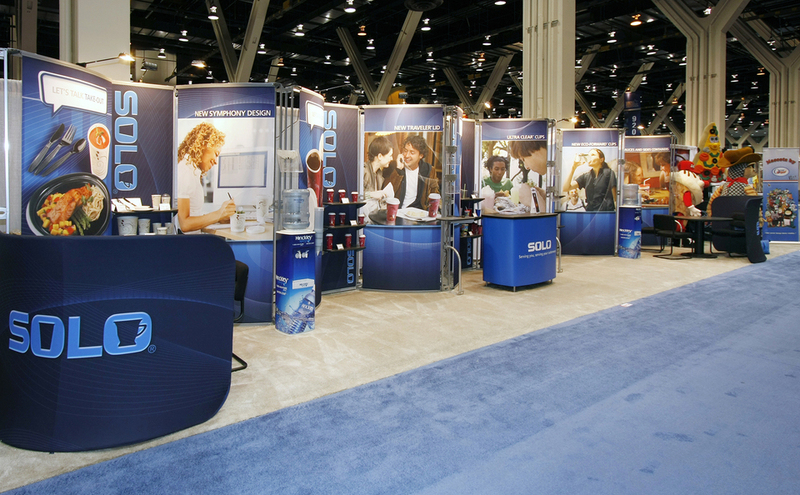 To stand out in endless rows of inline exhibits, Solo Cup Company rented a custom modular exhibit that’s long on brand identity. 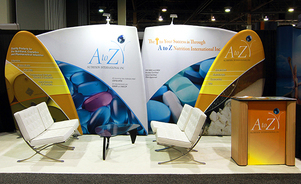 The exhibit stretched 50 linear feet, but multiple curved and angled sections created an even stronger presence. 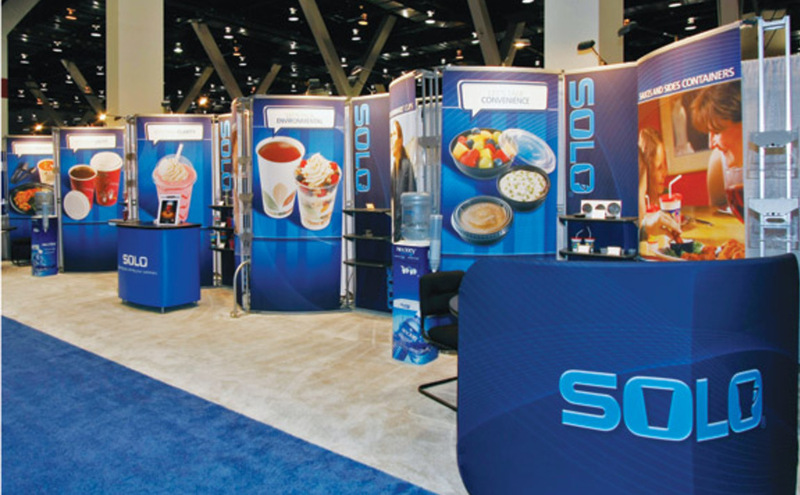 Solo Cup, a leading provider of single-use products used to serve food and beverages, rented the exhibit’s framework and purchased product and lifestyle graphics to illustrate a broad range of innovative products that meet customer needs. 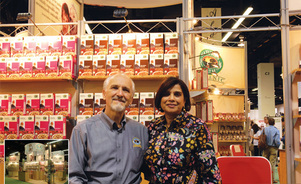 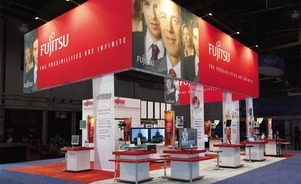 The exhibit’s flexibility has allowed the company to use other inline configurations, such as 10’ by 20’ and 10’ by 30’, at subsequent shows and to add graphics for new products. 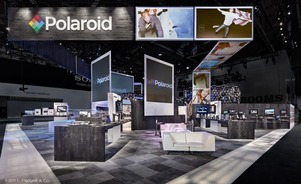 Hoping to attract attention at a major show, G.E. 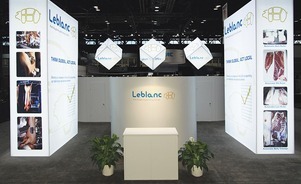 Leblanc Inc. glowed in a 30’-by-40’ exhibit featuring backlit towers and hanging cubes.